One of my friends studied abroad in Japan and brought me back a bag of like, 20 different kinds of flavored Kit Kats: soy sauce, soda, green tea, chili pepper…it was glorious. So of course I was very excited to find some of these Kit Kats for myself. 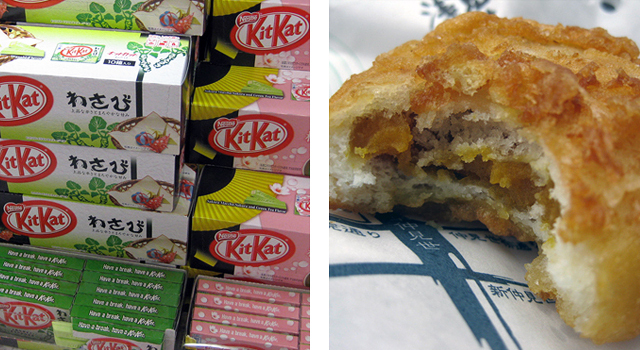 However, it turns out they’re kind of hard to find—a lot of flavors are regional only, or limited editions. 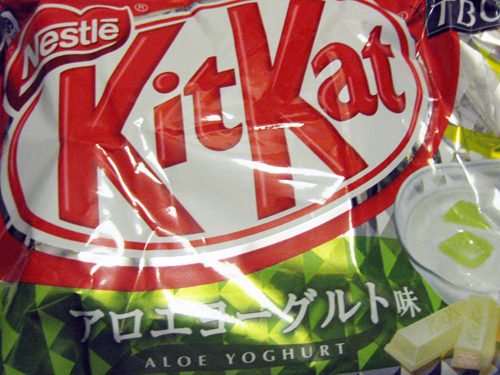 I found this bag of Aloe Yogurt Kit Kats in a tiny discount store in Ameyoko Market. They were good, but tasted more like lychee. 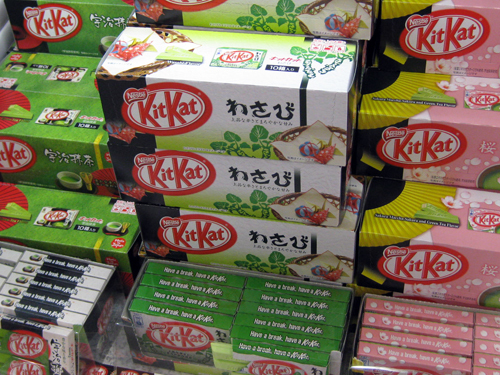 Of course, then I saw lots of Kit Kats (macha, milk macha, and cherry blossom) at Kansai International Airport—after I had changed my currency. 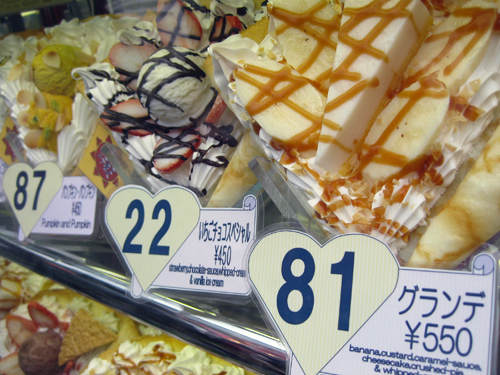 There are crazy crepe shops in Tokyo (and elsewhere in Japan—we found a great one in Kyoto). 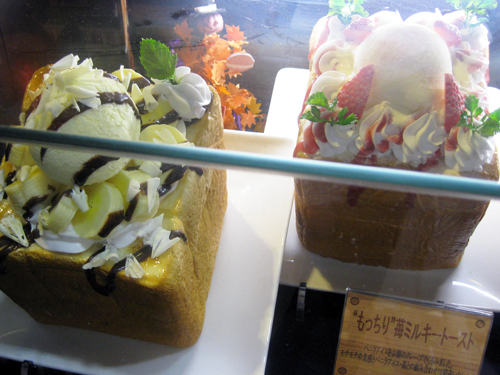 You can order a crepe filled with ice cream, whipped cream, sauce, fruit, a piece of cake, and custard/pudding inside. It’s awesome. The savory crepes are less appealing, though. 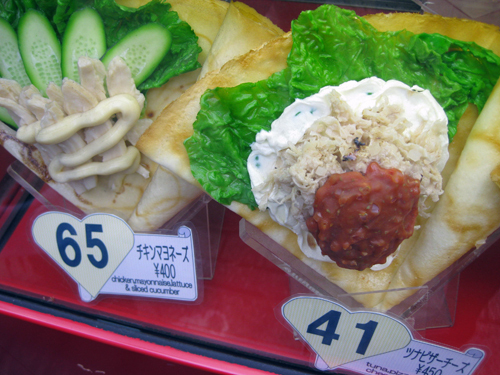 This particular one was filled with tuna, chili sauce, mayo, and cheese. 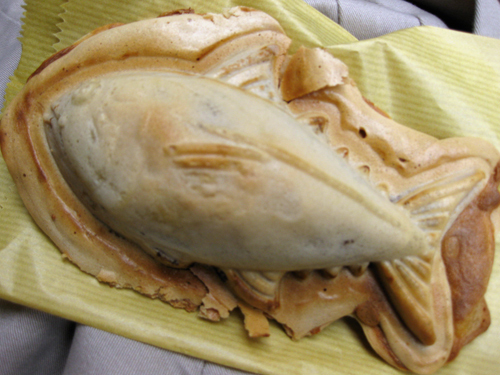 Taiyaki is a fish-shaped pastry that’s made in waffle iron-like molds. It’s usually filled with sweetened adzuki bean paste, but I also had one with a green tea-flavored filling, and there are other variations. It’s really good—great for chilly days, when you want something warm and filling. 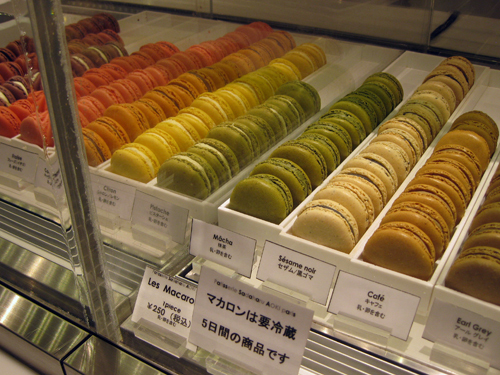 Macarons at Sadaharu Aoki. 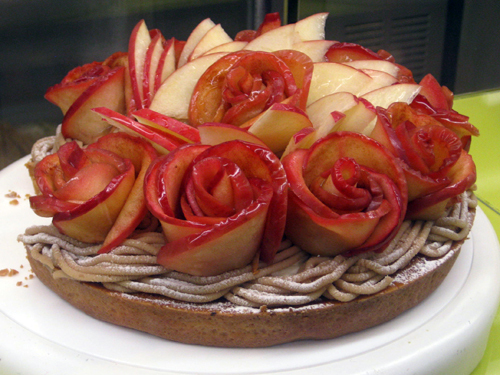 Sigh…most of the great Parisian patisseries have outposts in at least one of the fancy Japanese malls/department stores, and I just couldn’t help myself. 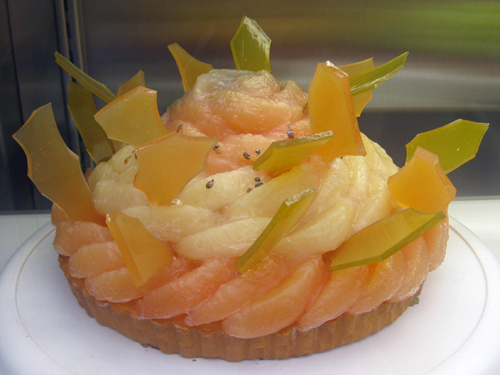 My favorite purchase was a decadent fig-chocolate macaron at Jean-Paul Hevin. Never learned what these are called. They’re ridiculous—as far as I can tell, it’s a loaf of bread with the ends cut off, with ice cream and whipped cream on top. Snack bought on Nakamise Street outside Sensoji Temple. 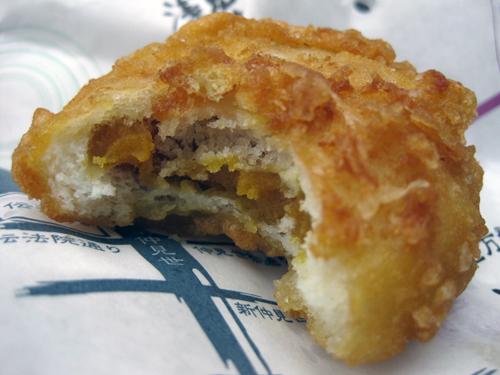 Crispy fried outer layer, and mochi inner layer with pumpkin paste filling.